The Green Bay Packers are running their franchise, business as usual. They made no offseason free agent signings from other teams, kept a few of their own important free agents in Cobb and Bulaga, and continued to build their roster through the draft. Aaron Rodgers, Eddie Lacy, Jordy Nelson, and Randall Cobb are all studs who will push Green Bay deep into the playoffs again in 2015. 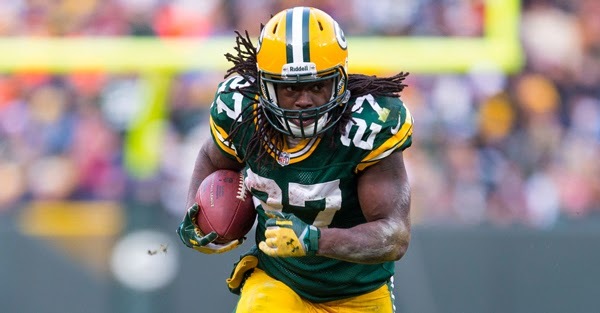 The Green Bay offense runs through Aaron Rodgers, a loaded WR core, RB Eddy Lacy, and a top five offensive line. The Packers offense will therefore use a nice balance of run and pass, which will ultimately produce plenty of fantasy points. Additionally, the Packers will have three of their final five fantasy weeks against Chicago, Dallas and Oakland, giving those who own Green Bay skill position players a chance at fantasy football victory. The Dom Capers lead Packers defense ranked 15th in yards allowed per game, and 19th in points allowed per game in 2014. The 2015 group has some more talent, with draft picks Randall, Rollins, and Ryan in the mix, we expect a slight improvement in their overall numbers. Look for Barrington and Ryan to take a step forward at inside linebacker, and if Matthews can stay healthy, he's always a threat for 15 sacks a season.